The Black Panther strikes again! Leaping from a flaming neon sign, the Black Panther lands in the Premier Collection! 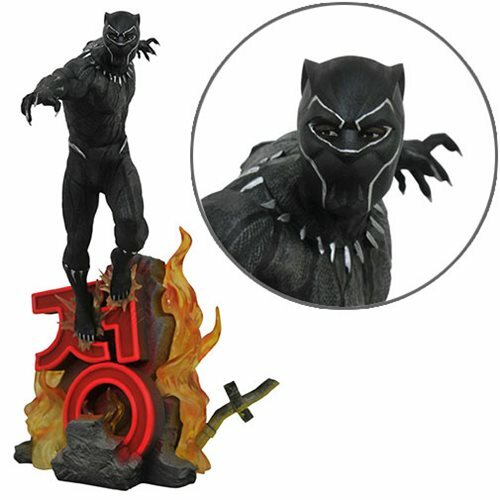 Inspired by a scene from the smash hit Black Panther movie, this approximately 16-inch tall statue is a limited edition of 3,000 pieces, and comes packaged in a hand-numbered box with a numbered certificate of authenticity. Ages 14 and up.